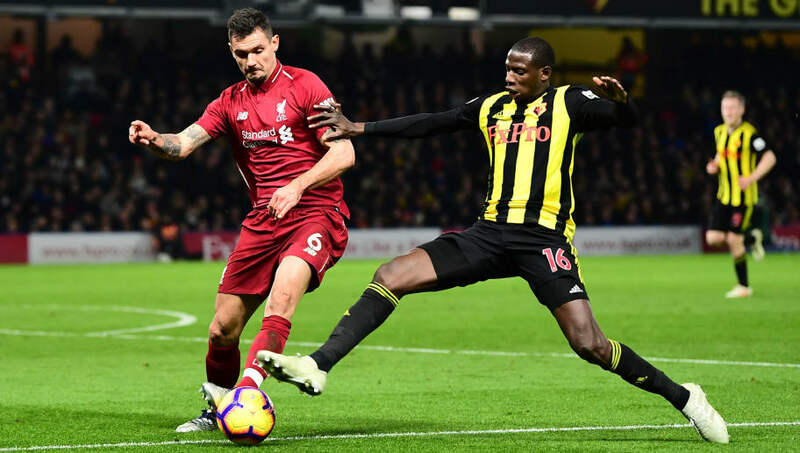 ​Everton manager Marco Silva is reportedly considering a move for Watford midfielder Abdoulaye Doucoure, who he worked with at the Hornets prior to his dismissal in January. Silva took over at Everton in the summer, and wasted no time in completing a £40m deal for Richarlison, who he signed for Watford a year earlier before facing the sack. And now, according to ​The Mirror, he hopes to utilise his links with his former club once again to lure Doucoure to Merseyside, as he prepares to strengthen ​Everton's midfield in the coming months. The Toffees are thought to also be considering a permanent move for Andre Gomes, who is on loan from Barcelona, and have been ​linked with Lyon's Tanguy Ndombele among a slew of other central midfield players. Silva is reported to be a big fan of Doucoure, and the Everton hierarchy are seemingly prepared to sanction a move for the 25-year-old should the opportunity arise. He's played every minute of ​Watford's impressive start to the ​Premier League campaign so far, assisting four goals, and given the relative positional competition between the two sides, it's not likely he would come cheap. Silva's connections at Watford could further work against him, as there is thought to be a degree of bitterness towards him due to the manner in which he left in January. He was dismissed after reports that he had gone behind the club's back to speak to Everton about their managerial vacancy, with the Toffees appointing Sam Allardyce in the short-term before eventually landing Silva in May. The successful signing of ​Richarlison in the summer, however, may have set the precedent for future business between the clubs provided the money is right.